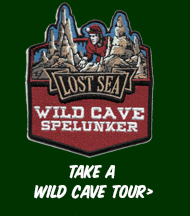 Find Driving Directions to the Lost Sea! We are between Knoxville and Chattanooga, TN, off of I-75, in beautiful Sweetwater, TN. Find exact directions to the Lost Sea using the map below, and don’t forget your camera!